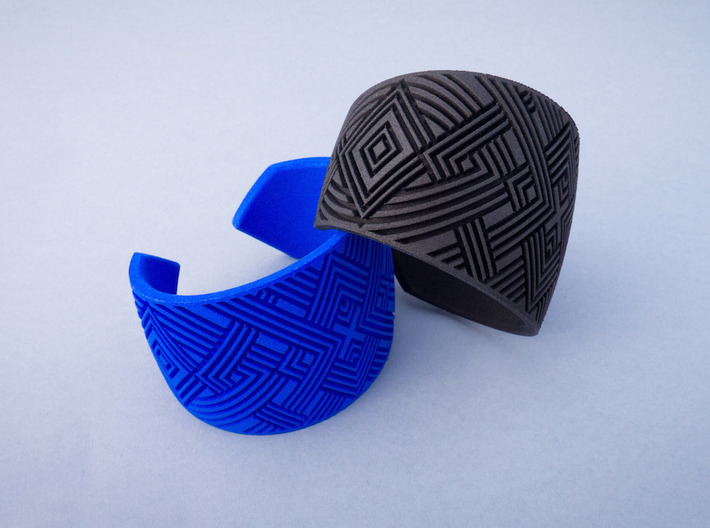 This 3D printed cuff bracelet is a statement piece that combines the strong shapes of age-old patterns with the precision of digital design. 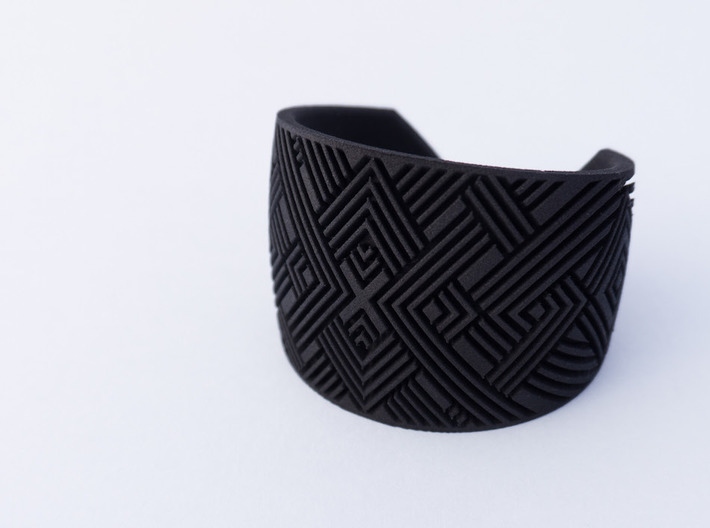 The dynamic combination of sharp grooves and curved surfaces is enhanced by the matte surface finish of the cuff in a form which is only made possible through the unique layer-by-layer process of 3D printing. 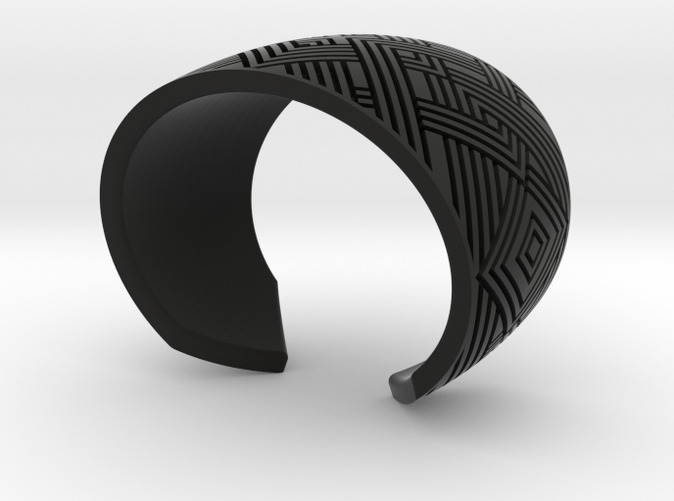 This bracelet is printed in nylon, and then polished to a smooth, matte finish while keeping the pattern crisp. The Line Collection has a strong graphic theme inspired by the geometric patterns found in the beautiful woven textiles of Peru. 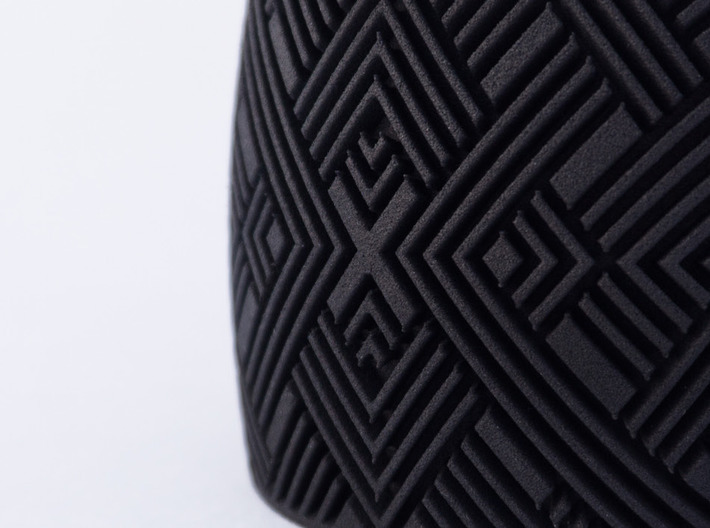 The digital patterns are 3D printed with micron-scale precision in richly-coloured nylon. 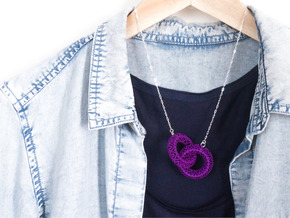 Each piece has a large, curved surface that shows off the clean, linear design and makes an eye-catching piece of statement jewellery.